For the 8th consecutive year, The Chicago Community Trust Jazz on the Rooftop stage will be a part of the Chicago Jazz Festival at the Harris Theater Rooftop Terrace in Millennium Park on Saturday, September 3 and Sunday, September 4. 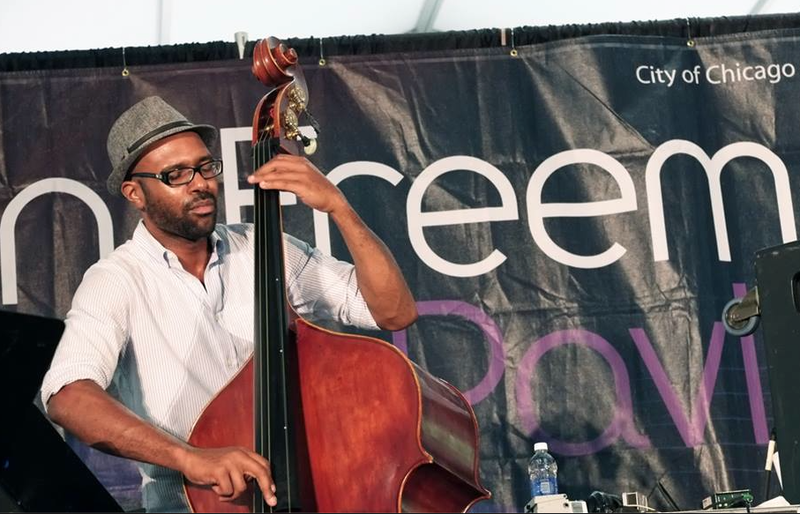 Supported by The Chicago Community Trust, the Jazz on the Rooftop stage aims to showcase up-and-coming Chicago native jazz musicians alongside the notable regional and national touring acts that attract nearly 150,000 jazz fans. This year, the festival is pleased to create a new stage for NextGen jazz artists which will present Jazz Institute of Chicago’s Jazz Links alumni: saxophonist John Foster-Brooks, pianist Alexis Lombre, vibraphonist Joel Ross, saxophonist Chris Weller and pianist Cole DeGenova. The Chicago Community Trust Rooftop Jazz performances start September 3rd with a showcase of “Young Jazz Lions” featuring some of the most dedicated elementary and high school jazz bands including the Lenart Regional Gifted and Harold Washington Elementary School Jazz Combos, the Jones College Prep Jazz Combo, the Whitney Young Magnet High School Jazz Combo, the Curie High School Jazz Ensemble, the Pritzker High School Jazz Ensemble, and the Kenwood High School Jazz Ensemble. Performances run from 11:30 a.m. until 4:30 p.m. on Saturday. The Rooftop performances continue Sunday September 4th, for the first time featuring a new showcase of four NextGen Jazz artists. Leading off is Alexis Lombre Quintet, featuring Corey Wilkes (trumpet), Isaiah Collier (saxophone), Junius Paul (bass) and Xavier Breaker (drums) at 11:30 a.m. From an early age, Lombre has enveloped herself in programs sponsored by the Jazz Institute of Chicago. Her Chicago Jazz Festival debut was made in 2013 when Lombre performed a solo rendition of the National Anthem opening the main stage for the final day of the 35th Annual run. As bandleader of The Alexis Lombre Trio/Quartet, she has also performed around Chicago in the city’s “Made in Chicago Jazz Series,” Hyde Park Jazz Festival, Bucktown Art Festival’s New Jazz Roots Stage, Hyde Park Jazz Society’s Sundays at Room 43, the Trinity UCC Jazzapalooza Jazz Festival, the University of Chicago’s David & Reva Logan Center for the Arts’ Third Tuesday Jazz Series and, in the “Charles Heath Presents: Jazzin on the SouthSide” series. The Sunday showcase continues at 12:50 p.m. with vibraphonist Joel Ross and his band Good Vibes, with brother Joshua Ross on drums, Ben Tiberio on bass and Julius Tucker on piano. Ross has performed with artists including Herbie Hancock, Louis Hayes, Christian McBride, Stefon Harris, Gerald Clayton and the Jazz at Lincoln Center Orchestra, among other notable acts. He has been selected twice as a Thelonious Monk Institute National All-Star and aYoungArts Jazz finalist in 2013. Currently, Ross resides in New York City where he studies under the direction of Harris at the New School for Jazz and Contemporary Music. Ross’s group, Good Vibes, will feature Jeremy Corren on piano, Benjamin Tiberio on bass, and Jalon Archie on drums. The Chicago-based trio dedicated to rock energy and fearless exploratory improvisation, known by the name of Hanging Hearts, will perform on the Rooftop stage at 2:10 p.m. Critics praise the group for “hammering the walls between genre,” as their music bridges the gap between jazz, rock, and experimental music. The band features Chris Weller on tenor saxophone, Cole DeGenova on keyboards and Devin Drobka on drums. Weller and DeGenova grew up in Chicago, playing in notable local jazz and blues clubs by the age of 15. The trio was completed when the two met Drobka at Berklee College of Music. Members of the group have performed around the world and shared the stage with Joe Lovano, Jerry Bergonzi, Greg Osby, Tony Malaby, Tower of Power, Lettuce, Kurt Elling, Snarky Puppy, Lupe Fiasco, Greg Ward, Tim Daisy and Dave Rempis, among others. Notable performances as a band include the Jazzinec Festivalin the Czech Republic and Nádasdy Castle in Sárvár, Hungary. Currently, the band is working on a new record with Dave King, drummer of The Bad Plus. Tenor saxophonist, composer, and leader John Foster-Brooks closes the NextGenJazz portion at 3:30 p.m. on Sunday. At just 24 years of age Foster-Brooks has been privileged enough to study with jazz legends including Ari Brown, Dayna Stephens, Yosvany Terry, Marcus Strickland and Bobby Sanabria. Foster-Brooks has graced stages of notable music festivals including Sacana Jazz Festival, Santanna Arresi Jazz Festival in Italy, and many more, including the Chicago Jazz Festival. In 2009, he debuted his first big-band, “Foster Meets Brooks Big Band,” a 15-piece ensemble which he showcased in New York City in 2011. Growing up on the South Side of Chicago, Foster began playing the tenor saxophone at Dixon elementary school, under the direction of the acclaimed educator Diane Ellis. See below for full schedule and be sure to check out the rising star jazz musicians featured at this year’s festival!